We present a very simple but very tasty recipe that is sure you will like, with a special touch of organic spicy tomato marmalade. Cut the Camembert into eight portions. Spending lots in the flour, then beaten egg and finally the breadcrumbs. Put an hour in the refrigerator. Put the fire in a pan with olive oil frying portions over low heat until golden. Take it out and put it with paper towels. 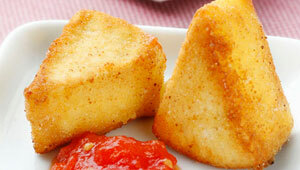 Serve the dish with cheese and organic spicy tomato marmalade. Where can you find our organic spicy tomato marmalade? Today we present a snack shaped lollipop, does not require the oven and has two very attractive features : cabara cheese and organic spicy tomatoes marmalade, which gives it that special touch. Remove the skin or bark of goat cheese and we were inside. On a clean flat superificie , the knead a little and then, with hands, make small balls go about 2 inches in diameter. We put them on a tray, covered with plastic wrap, and put them in the freezer for a while. Half an hour will be enough, just because it stay compact and do not break when riding. Then put the jam in a glass (or use the same boat ) and we dipped the balls one at a time, ensuring that they are heavily covered with jam. 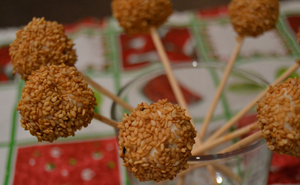 Finally the rebozamos with sesame, we have on a plate. We place the skewers on a fixed support (eg full of stones or coarse salt test) or put them in a glass. We keep in the refrigerator until just before serving. We present a dish with a simple recipe that you can very well go for a quick dinner . 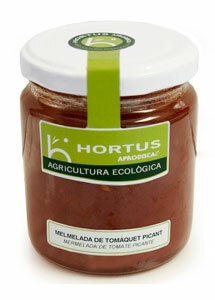 We accompany with organic spicy tomatoes marmalade that adds a touch of color and flavor. 2-4 thick slices of bread. The number of slices varies depending on the extent of the same or the hunger that you have. If bread is multigrain, much better. You put the ingredients with a little grace. First make a layer of green onions and pickles, then add cheese and cherry tomatoes and finally the tuna on. With a little oregano on top. Broil toast in the oven until cheese is melted and browning a little tuna. Accompany with organic spicy tomatoes marmalade. Today we present an easy and tasty recipe, giving a very unique contrast to the saltiness of the cod and sweet of the organic spicy tomatoe marmalade. We begin to saute the onion over medium heat until very soft and it almost transparent. When it done , add the chopped cod and let it cook for about five minutes or until you have lost all the water has evaporated , add the flour (two tablespoons for a quart of milk ) and leave that integrates with cod , once the flour no longer note , and add the milk , stirring constantly , wait until the sauce thickens . Check the salt and add pepper and nutmeg. You can wipe the blender if you want me to stay softer. Let cool . Finally decorate the plate with organic spicy tomatoe marmalade and mint leaves . 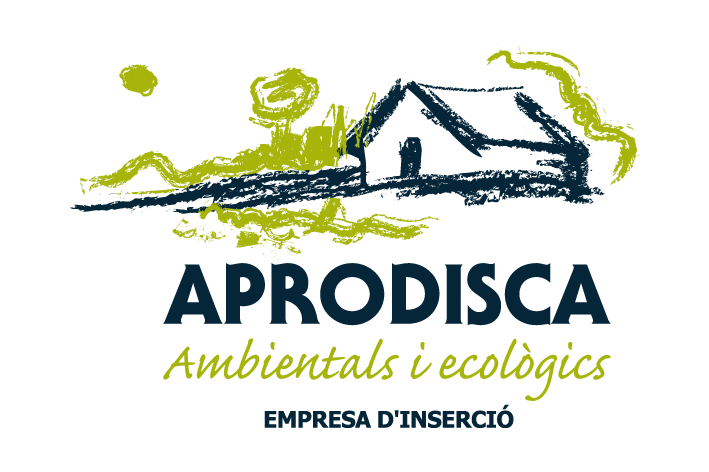 We present canapés made ​​in 5 minutes and they are very good. Our spicy tomatoe marmalade gives a touch of color. Placed on top of each toast a piece of tuna over a spoonful of organic spicy tomatoe marmalade and finally a bit of tapenade. Our couch is now ready!